Chabad's underlying doctrine is "Ahavat Yisrael" (love for a fellow Jew). Chabad recognizes no differences between Jews; its goal is to serve the spiritual and physical needs of each Jew regardless of affiliation, wherever he or she may be, with understanding and with love. 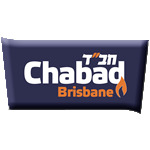 Chabad Brisbane is a branch of the Chabad-Lubavitch movement, comprising of over 3,000 institutions worldwide. Chabad has been active in the wider Brisbane Jewish community for many years. Chabad House Brisbane has served the Jewish community in Brisbane since 1988. Chabad serves the Jewish community with adult education, social and humanitarian outreach programs and a vibrant youth program including holiday camps and numerous other activities.